In the world of diamonds, clarity is one of the four "C's" that determine value, along with color, cut and carat weight. Diamonds are strictly graded for clarity on a scale devised by the Gemological Institute of America (GIA), from IF (internally flawless) to VVS1/VVS2 (very, very slightly included) to VS1/VS2 (very slightly included), and so on. Even very tiny inclusions can significantly lower the value of a diamond. 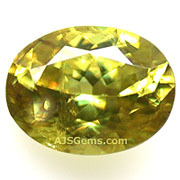 Clarity is also important in colored gems, but the standards are quite different. Applying diamond standards to colored stones would be a mistake, and would result in a buyer missing out on many fine stones. In colored gems it is color that is paramount, and inclusions are tolerated if they don't detract from the beauty of the stone. Indeed for gemologists, the presence of distinctive inclusions in a colored gem is essential in order to certify the stone as natural. There is no international standard for grading clarity in colored gems similar to GIA's International Diamond Grading System. That is why when you receive a colored gem report from major labs such as GIA and GRS, they don't include a clarity grade on the report. Type 1 gems are usually found virtually inclusion free in the market. High quality specimens of Type 1 gems would have only tiny inclusions that could only be detected under 10x magnification. So when when selecting a Type 1 gem, a buyer should expect the gem to be almost loupe clean. Type 1 gems include aquamarine, morganite, yellow beryl, chrysoberyl, kunzite, danburite, smoky quartz, imperial topaz, blue topaz, blue zircon, white zircon and tanzanite. Type 3 gems are almost always found with significant inclusions. Even high quality specimens will have inclusions that are visible to the naked eye. Type 3 gems include emerald, red beryl, idocrase, benitoite, kyanite, prehnite, sphalerite, sphene and watermelon and rubellite tourmaline. These functional grading terms tell you what you can expect to see when viewing the gemstone. They don't, however, tell you whether the particular stone is a high grade specimen. For that you need to consider other attributes of the gem, especially its color and cut. And you should always consider whether the particular gem is a high grade specimen of that particular type. The GIA clarity types help you understand whether some inclusions should be expected, even in high grade stones. Some gem dealers use terms like VVS and VS for grading colored stones. Because these terms are associated with diamond grading, they are not really the best way to grade colored gems. In addition, some dealers adjust these gradings for the GIA clarity types, so that an eye clean ruby (a Type 2 gem) would be graded VVS rather than VS. But this approach can easily confuse buyers who are not acquainted with the GIA clarity types. A better approach, we believe, is to use functional clarity grades, where gems are graded according to whether inclusions can be seen with the naked eye or under the loupe at 10x magnification. We use the terms "loupe clean", "almost loupe clean","eye clean", "very slightly included", and so on. 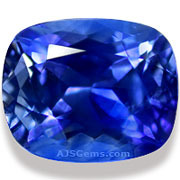 Finally, we should mention that non-transparent gems, such as most cabochons, are graded using different terminology. The GIA clarity types apply to transparent gems, since if a gem is not transparent, inclusions are not visible. 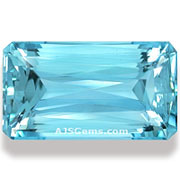 Non-transparent gems are graded as translucent -- passing some light -- or opaque. Translucent gems include high quality specimens of chrysoprase and gem silica, for example.